PAGASA Pres. Steven T. Cua was invited to the 4^th Cebu Retailers Conference as a panelist on the session for Green Retailing. At Conf. 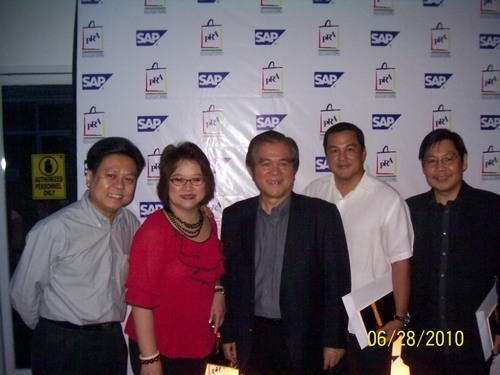 Photo-op (L-R) STC, Melanie Ng/PRA Cebu Chapter-Pres., Samie Lim/PRA Chairman Emeritus, Jay Aldeguer/PRA Cebu founding Pres., Robert Go/PAGASA Board Member & active PRA Cebu Member. At the Green Session (L-R) Cebu City Councilor Nestor Archival, STC, Moderator Bing Sibal-Limjoco/ PRA vice-chair, Echostore’s Chit Juan, Ayala Mall’s Bong Dy and SM’s Sherry Tuvilla.